Bajo petecion en otros lugares como hoteles en el centro. Also I wanted to express our sincerest thanks to you for your wonderful tour Sean as well as the tapas and wine which were wonderful. You are so well educated and familiar with so much about that Vigo and the entire region ! 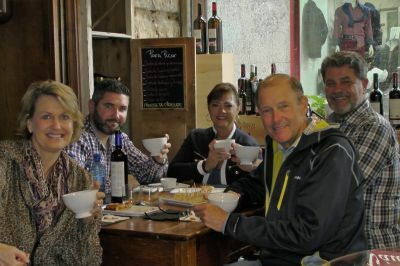 We just returned from our Med cruise on Saturday and we did a Wine and Tapas tour in Vigo with Sean. We went to 3 different locations and had several types of wine and lots of tapas (don’t eat lunch on the ship if you do this!) The tour was absolutely great and well worth it!